The 10 Best Places for Crab in Rhode Island! 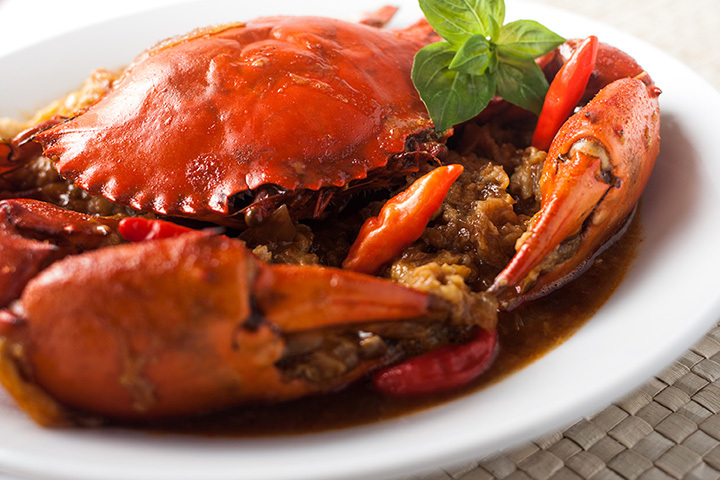 Craving the sweet and rich flavor of crab? Well, get cracking, because the Ocean State has you covered! From delicious king crab legs, to scrumptious snow crab, to the favorite blue crab, Rhode Island has every variety your heart desires. Here are the 10 best eateries for crab in the state. Eat away at some giant king crab legs at the Nordic Lodge—a classic New England seafood restaurant located in Charlestown. The meat is so perfectly juicy and delicious that you’ll need to wear the lobster bib to get through a meal! At Buster’s, they know that the perfect ingredients for a summer day are great hospitality and fresh, local food. This beach bar and grill offers a tropical atmosphere and delicious crab—try their Krabby Kakes or signature krab roll. Eating with a group? Try the Buster’s combo of Alaskan king crab legs, snow crab clusters, a jumbo shrimp cocktail and more! Whether you’re a fan of snow crab or king crab, Anthony’s serves up both with incredible preparation and flavor. The crab cakes are equally as packed with meat, are fresh baked, and cost only $11. When dining at this classic Newport establishment, make sure to try the Atlantic sole, which comes covered in a mound of mixed crab and shrimp. Try the Bag of Doughnuts, too—but be warned, these doughnuts aren’t sweet! Rather, they’re lobster, crab, and shrimp fritters that come with a delicious aioli sauce. Located on Thames Street, the Midtown Oyster bar feels positively colonial. Dine under the tall ceilings or in their outdoor area upstairs with a more scenic view. You’ll want to try the lump crab paparadelle pasta, which comes with homemade noodles, a light truffle oil, and plenty of oyster mushrooms and sweet crab. Start your meal off with the lump crab appetizer, packed with deliciously sweet meat and fantastic flavor. If you haven’t had enough crab after that, try the seafood medley salad with huge shrimp, plenty of lobster tail, and even some lump crab meat. In addition to the fresh oysters and delicious mussels, make sure to order a helping of king crab legs or crab cakes! The cakes come with a delicious summer corn and tangy sauce. Oysters aren’t the only seafood options at this Providence restaurant. Go for the king crab legs, too, or the delicious crab sliders! Fans of sushi will also be happy to know that the California Roll here is served with real Alaskan crab—no imitation meat here. The only meal to get here is the Capri Bang, which consists of a pound of shrimp, crawfish, clams, mussels, and snow crab legs. And it all comes for $70! The crab meat is moist, tender, and perfectly delicious. Going out for brunch? You’ll want to try Cav’s crab cake eggs benedict. The poached egg pairs perfectly with the fresh, sweet crab meat, and it’s all comes with grilled sweet bread and a delicious sauce on top.